HomeFilmsAfter EarthShyamalan’s Next Film Titled ‘After Earth’? Shyamalan’s Next Film Titled ‘After Earth’? The main reason I use a question mark at the end of our article is because the Mainline Media News write-up then goes on to get one of Shyamalan’s other titles incorrect, stating Unbreakable was titled Unbroken. They also then refer to Shyamalan’s upcoming film under its initial title, the aforementioned One Thousand A.E.. So which is it? It seems reasonable to assume that the article’s writer just did poor research in his article about M. Night Shyamalan doing research — ironic. 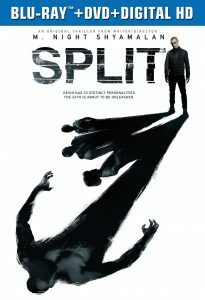 After all, it’s more likely that he got his quote right and the rest wrong, especially since everything else Shyamalan’s assistant reportedly said fits right in line with the rest of the news we’ve heard about the premise of this film. The film follows a young boy who navigates an abandoned Earth to save himself and his estranged father after their ship crash lands on the planet. 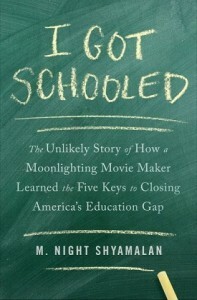 The project is set to go on production in early 2012 and has release date of June 7, 2013. Finally this is going to be great can’t wait for the movie. 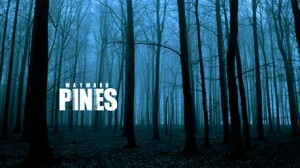 M Night Shyamalan, Philadelphia’s resident film director will begin production on his next film in early 2012. The title is “After Earth” and will star Will Smith and his son Jaden. 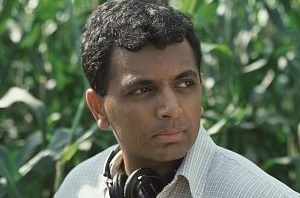 There have been reports that Shyamalan has been scouting locations in the area for filming. 50% of the filming will take place at the new Sun Center Studios in Delaware County (Chester Township). It will be the first major feature film to shoot there. Other locations will be in Costa Rica, Utah and Northern California. Sony Pictures has announced that the movie will hit the big screens on June 7, 2013. The story is about a young boy who navigates through an abandoned and sometimes scary Earth to save himself and his father. The script is written by Shyamalan and The Book Of Eli scribe Gary Whitta. And, Matt thanks for posting the article. Some filming will also be at the old Budd Company plant in The Hunting Park neighborhood of Philly. This guy needs to get back to the basics of directing movies. After a few good movies, his career tanked. He lost focus and got confused. I don’t know what happened to him, but he needs to get his acts together.